As a college student, you should be both knowledgeable about different essay types and skilled in writing them. Whereas writing skills can only be developed through time-consuming and deliberate practice, you can learn basic essay types fairly quickly. And it is not simply a matter of expanding your mental horizons. You should be passionately curious about essay varieties because they are great instruments for expressing your thoughts, feelings, and ideas. In today’s fast-paced world, nobody wants to read or hear an endless bloviation; everyone expects a concise serving of points and arguments. Therefore, you better learn to use those tools to succeed in life and college. 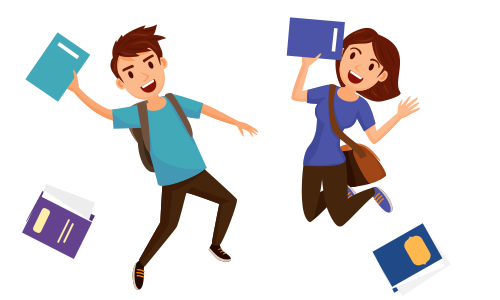 Read this article to understand five types of essays you will encounter in college: expository, descriptive, narrative, compare and contrast, and persuasive. Let’s start, shall we? Write a short essay explaining the role of the Civil War in changing the fabric of American society. Research your topic. Both a local library and online search will do. However, you better opt for peer-review sources and make sure to cite them. Create a detailed outline. The outline must contain informational points for each paragraph. Write topic sentences. Write short sentences with key information for each paragraph. After reading them, your audience should get a general idea of what is to come later. Add statics, facts, and examples. Expository writing requires strong empirical support rather than emotional buttressing. This type of academic assignment necessitates highly-evocative writing. Basically, you will have to paint a vivid picture of an event, person, or place using effective literary devices. Unlike its cousin (a narrative essay), descriptive essay concentrates less on a meaning of the subject matter and more on its sensory perception. Thus, you, as a writer, will have to employ all human senses to bring the subject to life. If your readers can see, feel, hear, and smell the place described in the essay, then you’ve done a decent job. Your essay is outstanding if the audience can also feel an emotional attachment with and deep appreciation for the discussed subject. The building’s windows frowned with wrinkled brows at visitors stepping sheepishly on squeaky floors. If you had to pick someone to diffuse a bomb while being blindfolded, you would pick this girl. Here, you are required to tell a story about a real-life experience. However, you are not expected to simply capture the reader’s imagination with your narration; you also have to convey why the story matters. A great example of narrative writing is Old Man and the Sea by Ernest Hemingway. At the preparatory stage of writing, you should come up with a good theme for your essay. If a prompt requires you to “write about achieving a goal,” think long and deep about relevant experiences and pick the most exciting one. A great essay theme should be of significance to you. Craft the first draft using the first narrative. When relaying a personal event, don’t gloss over the details. Instead, describe them using vivid language evoking emotions. Review, polish and modify the first draft. When revising the essay try to achieve an easy-to-follow progression of events and a sufficient level of detail. Also, opt for descriptive, rather than informative words. At this stage, you need to eliminate all errors and typos from your copy. Having a friend look at the essay will help immensely. A student writes about the first item in the first paragraph and the second item in the second paragraph. Multiple points are discussed in each paragraph. The third paragraph summarizes key arguments. This format is more common because it allows for a more accurate and clear portrayal of two items’ differences and similarities. Each paragraph is dedicated to the discussion of a single point. The final paragraph summarizes all arguments. A single purpose of this essay is to persuade. Imagine yourself being a lawyer who has to argue a case before a skeptic jury. Do you have your best arguments at hand’s reach? To argue either for or against a certain point of view, you should be aware of your own and readers’ biases. You will have to prove not only that your side of the argument is correct, but also that the opposing view is not right. Select a position. Pick a side you will argue for in the essay. Understand the audience. Try to understand the readers’ perspective in order to pull them to your side of the argument. Research the topic. You should present solid evidence to convince your Therefore, extensive research is a must. Outline the essay. Select your most convincing arguments and outline them. Later, they will serve as a basis for crafting body paragraphs. Start writing. Write the persuasive essay. Providing supporting evidence for your own arguments and refute the opposing view. With some practice, you will learn the fundamentals of essay writing. However, you will have to waste a lot of ink before your essay turns into well-constructed and pleasurable prose. And it is totally OK. You know you have it in you. Take your time, and you’ll see that your timid forays into academic writing start acquiring a professional touch.